PolicyPal Network envisions a digital future where insurance and crypto assets seamlessly overlap without any friction. We aim to achieve an end goal where crypto assets holders are adequately covered by insurance from cyber network hacks and reducing the barriers of entry for insurance to the emerging markets through peer-to-peer mutual aid insurance implemented on the blockchain. We have been working hard to establish PolicyPal within the insurance space over the past year since the company was founded in April 2016. The meet up will share about the next stage in our company's journey – PolicyPal Network. PolicyPal was started with the goal of simplifying the management of insurance policies through digitisation and an overall intent of disrupting the insurance field. As we improved on our platform while continually researching on avenues for further innovation within the space, we gradually zeroed in on blockchain technology and the huge potential it offers in combination with insurance. We conceived the PolicyPal Network. PolicyPal Network is a platform built with a two-fold vision of addressing key issues that overlap the fields of both insurance and cryptocurrencies in the world today. Val Yap is the Chief Executive Officer ("CEO") and Founder at PolicyPal. Before creating PolicyPal, Val held the post of Assistant Vice President at OCBC Bank which saw her responsible for launching a wide range of digital initiatives and campaigns key to rejuvenating the OCBC brand. These included the OCBC OneTouch campaign, which garnered three medals at the MOB-EX Awards 2016. Val previously served as a Risk Assurance Associate at the London Office for PwC, working with UK Financial Institutions to develop implementation plans caused by new regulations of the USA Foreign Account Tax Compliance Act (FATCA). Before her MSc at Imperial College London, Val was part of the Allianz motor broking team where she handled risk assessments and motor quotations. She was also recently named in Forbes's 30 under 30 for the Finance & Venture Capital category and made a list of Linkedin's Singapore Power Profiles 2017. 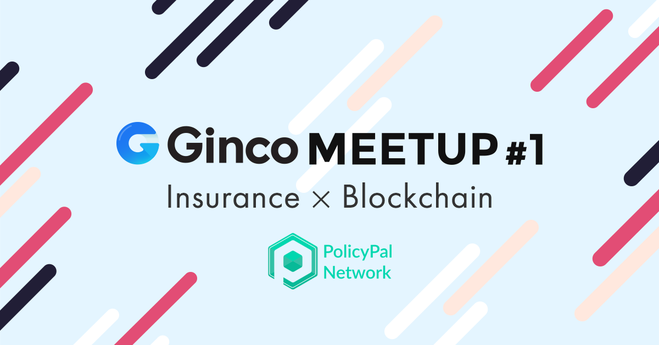 Ginco Inc. published Ginco Meetup #1：保険×ブロックチェーン！PolicyPal CEOが語る次世代の保険.